When we blame our teaching problems on the collective inferiority of a generation, we only make things worse. In this episode, we explore the problem of teacher nostalgia, why we give into it, and how we can stop it. Is it a reflection of a warm school culture, or a subtle way to get teachers to volunteer more time? If you suspect it's the latter, it's time to push back. 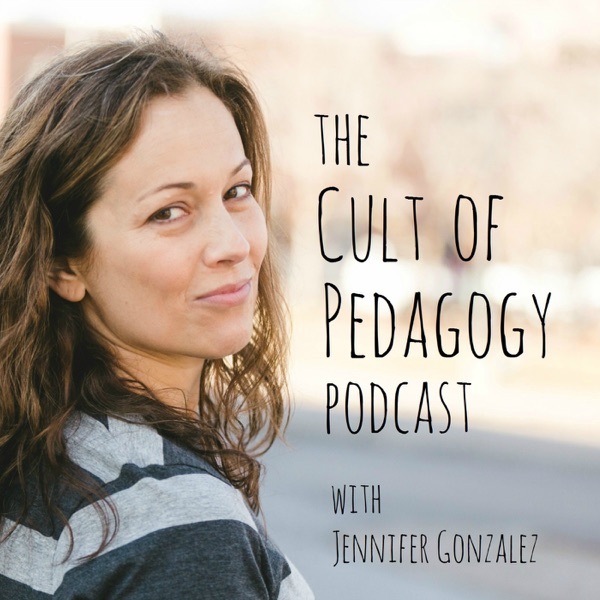 In this episode, I talk with Angela Watson, author of the new book Fewer Things Better, about three popular school norms that can ultimately lead to teacher burnout, plus some specific ways teachers can push back on those messages. Physical movement makes learning stick better. In this episode, we'll explore six different ways to add more movement to your classroom. If you use rubrics, this episode is for you. I talk with administrator Mark Wise about five guidelines that can help make your rubrics more effective. In this episode, I talk with Khan Academy's founder, Sal Khan, about the platform's new mastery learning feature, which allows learners to get personalized practice, filling much needed skill gaps and advancing at their own pace. And it's all completely free. Many dress codes unfairly target students in certain populations, doing more harm than good. Is your dress code due for an upgrade? In this episode, equity writer Coshandra Dillard helps us learn what to look for when revising dress code policy, and high school principal Marcus Campbell shares his experiences in changing his own school's dress code. To master this craft, we need to choose our words carefully. This mini-makeover shows how revising our language in four common classroom scenarios can send a completely different message. Could your school stop its normal routine for a full day and devote it entirely to unstructured play? That's what thousands of schools all over the world do every February for the Global School Play Day. In this episode I talk to GSPD founders Eric Saibel, Tim Bedley, and Scott Bedley about why play is so important for people of all ages. This year's collection includes a discussion monitor, a tool that analyzes writing, a virtual reality tour maker, and my favorite new game. Quality note-taking is a powerful learning tool, but to do it well, students need to be taught how to do it. In this episode, I talk with instructional coach Peg Grafwallner and chemistry teacher Abby Felten about a fantastic station-rotation lesson they developed to help Abby's students learn to take better notes. Awareness of educational inequity is important, but we also need to take action. In this episode, professor and activist Pedro Noguera shares ten specific things educators can do to pursue equity in schools. High school English teacher Jeff Frieden shares his Ongoing Conversations strategy, a simple, effective way to get students to have rich, one-on-one conversations about what they're learning—and get to know each other a little better in the process. In too many classrooms, we're expecting students to learn material without asking them to do much of anything with it. Why is this a problem? Where did it come from? And what can we do to fix it? There's a lot of confusion about how to use leveled texts in the classroom. In this episode, I interview literacy expert Jen Serravallo about the mistakes teachers and administrators make with leveled texts and which practices Serravallo has found to be most effective. Want your students to have rich, complex discussions about the texts they read? In this episode, high school English teacher Marisa Thompson shares a method she calls TQE, which requires almost no prep or grading and leads to the kinds of classroom discussions you thought only happened in college. Imagine a professional development scenario where you are given funding, choice, and time to collaborate with others in your specialty area who energize and inspire you. That's the basic gist of a teacher fellowship program, and in today's episode, we're looking at how one of these programs work. My guests are Megan Roberts and Ashraya Gupta from Math for America, a fellowship program for exceptional teachers of math and science. The ability to tell a good story is one of the things that makes human beings extraordinary. Here's the process I used to teach my own students how to do it. To mark the milestone of 100 episodes, I'm sharing one of my favorite posts, Lessons in Personhood: 10 Ways to Truly Lead in Your Classroom. Thank you to everyone who has appeared as a guest on this podcast, and to everyone who has listened, reviewed, and recommended it. I have lots more to come!